She was right. The exhibition changed the consciousness—and cultural identity—of New York and America forever. 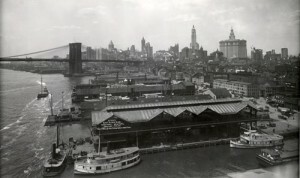 Which is why, one hundred years after the show took place at the 69th Regiment Armory in New York City—giving the exhibition its better known name, The Armory Show—the New-York Historical Society, New York’s first museum and destination for history, has reassembled one hundred of its original works. The Armory Show at 100, which opens in October 2013, shows this history-changing event in a once-in-a-lifetime light in New-York Historical’s landmark building on Central Park West: a moment in history, full of dizzying change and uncertainty, which would build toward the convulsion of World War I and launch the twentieth century.